The current oil narrative in the U.S. is one of bountiful supply but structurally reduced demand. Yet Mark Lewis, in The Financial Times, disputes the latter story (here, free registration at the FT). He argues that the last five years have seen a cyclical, not structural, shift in demand. But now that the economy is picking up speed, demand for oil is kicking up a notch. Given the astronomical capital expenditures needed to bring new supply to market, however, the only mechanism able to maintain equilibrium will be the rationing effect of higher prices. Again in The Financial Times are some fascinating statistics showing that 26% of young adults aged between 20 and 34 now live with their parents in the U.K., up from around 21% in 1996. A prime mover behind this trend is the 13% decline in real median incomes for this age group in the decade from 2001/02 to 2011/12. All part of the new normal. In my former job running a hedge fund, I learned one great skill that is rarely developed in the general populace; that is, to believe both the buy and sell case for any individual position. So does this mean that I was unable to trade, like a deer caught in the headlights? Not really, because sometimes (but not often) you rate the rationale behind one side of a trade as a little superior than the other—and that’s when you place your bet. This approach can be extended to most things in life. So in the case of my recent series on technology and unemployment (starting here), I looked at a series of papers that suggested we have a serious problem with technology. Given that bias, my inclination is to find intelligent people who say we don’t have a problem. One such person is the progressive economist Lawrence Mishel, who in a blog post last week argues that technology is not the job killer; rather, low wages, inequality and unemployment are caused by other, non-technological factors. My understanding of this topic is highly fluid, with argument and counter-argument going on to my weighing scales. I tilt towards worrying, but am still very receptive to opposing views. Of course, in the case of climate change, the scales are dramatically weighted to one side—i.e., bad climate change outcomes. Marginally encouraging is the fact that corporations are slowly comprehending climate change risk. As evidence, climate change has elbowed its way back onto the agenda at Davos. The Guardian is one of the few publications to pick up on this trend and has been tracking the various seminars, panel discussions and presentations there (here, here and here). And The New York Times has an informative article by Coral Davenport on how big business is getting more concerned over global temperature rise. The Guardian also has a very interesting article on the impact of ENSO cycles (El Nino and La Nina cycles) on global mean temperature. What is new to me is the claim, which originates from a note in the academic journal Nature Climate Change (full article is behind a paywall), that the ENSO cycle itself will change as the planet warms, leading to more extreme El Ninos and thus more volatility in temperature variation. Yet again we learn of another source of climate risk. Apologies for my absence, but I have been super busy over the holiday period. Liam Halligan in The Daily Telegraph explains why oil prices will likely remain high in 2014. It’s a well-worn story in this blog, but Halligan provides a nice recap on the disappearance of “easy oil”. In his words: “The ‘upstream’ oil industry capital expenditure has risen, in constant dollars, from $250bn in 2000 to $700bn last year – almost a threefold increase. Over the same period, global oil supply rose just 14%.” In sum, shale oil is no free lunch. Staying with The Telegraph, Ambrose Evans-Pritchard gives praise where praise is due with respect to the Fed and QE. I still think that the uber-aggressive version of QE we have witnessed in the US will only be vindicated once it is unwound. The imbalances it is causing are many, but they have manifested themselves in asset inflation not generalised inflation. Nonetheless, with both structural reform and active fiscal policy missing in action during the Great Recession, it was left to the Fed to stop the sky from falling down—which is what the Fed did, so all kudos to them. The next question is: can the US growth without QE? We shall see. Being ‘poorer than your parents’ is a hot topic on both sides of the Atlantic. Bloomberg has a lovely article comparing a dad and a daughter, but the statistics on US savings and pensions levels are what shocked me most. How will those boomers live through retirement with that amount of money? Over the pond (and less anecdotal), the Institute for Fiscal Studies (IFS) has just published a report looking at the economic circumstances of different cohorts born from the 1940s to 1970s. Conclusion: for the middle-aged, you have little chance of matching your parents prosperity in your later years unless you can nail down a significant inheritance. If you don’t want to read the whole report, you can see a good synopsis in The Guardian here, but almost all the UK national press, whether from the left or right, reported on the IFS study. Previously in the Links, I flagged Larry Summers speech at an IMF symposium. Here he is again talking about long-term economic stagnation in The Financial Times. I frequently mention the thought-provoking work of Tyler Cowen, and have just finished reading his latest book “Average Is Over“. David Brooks has a nice piece in The New York Times expanding on Cowen’s employment theme and thinking about what type of people can thrive as technology upturns the job market. And last but not least, over to climate change. The Carbon Brief has a wonderful post on the five-most important climate change papers of 2013, including the key charts. Required reading for anyone who has bought into the idea that the current temperature hiatus has lowered the risk posed by climate change. But then again, such a reader would be unlikely to stray far from Watts Up with That. As I write this post, the yen has broken below 100 to the U.S. dollar and the Nikkei has closed at a five-year high. So surely Abenomics is working, isn’t it? Well, it is certainly pushing up asset prices. Indeed, if I were still in my old job as a Japanese equity hedge fund manager I would have swung the bat as hard as I could after Bank of Japan Governor Kuroda’s original April 4 announcement. And I would plan to keep swinging the bat well into the future. Indeed, if my risk manager was not having a heart attack by now, I would feel I had not done my job properly. Strange as it may seem, this is the logical path to follow given that Kuroda has based his analysis lock, stock and barrel on New Keynesian monetary theory. The two canonical papers that sit behind this are Paul Krugman’s “It’s Baaack! Japan’s Slump and the return of the Liquidity Trap” and Gauti Eggertsson and Michael Woodford’s “The Zero Bound on Interest Rates and Optimal Monetary Policy”. The Eggertsson and Woodford paper, which we can think of as Krugman 2.0, has become the intellectual bedrock for the Fed in fighting deflation and is much quoted by Fed Governor Ben Bernanke. 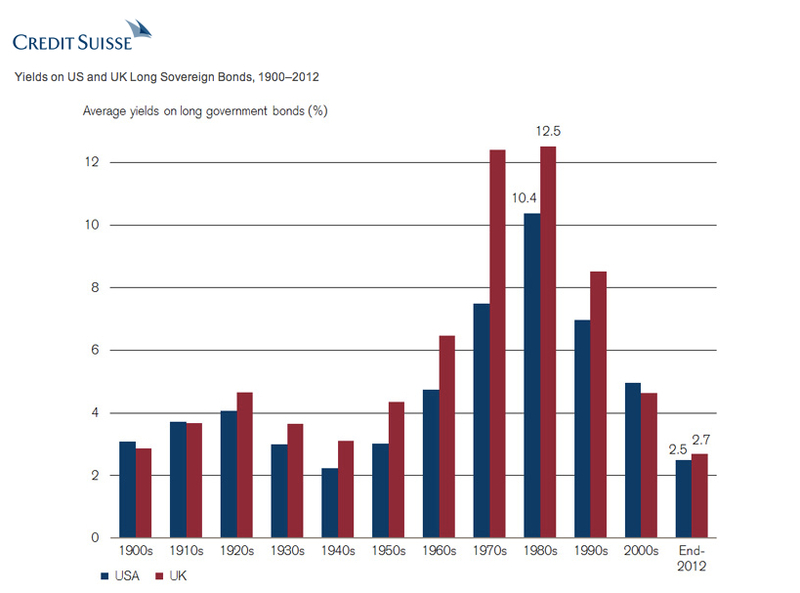 In the Eggertsson and Woodford model, the com- mitment to making monetary policy “too easy” would only stimulate economic activity if the commitment is viewed by the public as highly credible. That is, markets must believe that the central bank will, in fact, hold rates “too low” in the future simply because it promised to in the past, despite the fact that at that point, it would wish to raise rates to avoid inflation. Now we now that asset price inflation operates on a different time scale to consumer price inflation: indeed, Japan’s stock price indices are already up 50% from their December lows, while consumer price inflation has barely budged. Nonetheless, to whatever level asset prices go, Kuroda has to keep his mouth firmly shut to have any chance of the changing public perceptions of future inflation. He is not allowed to make Greenspan-type gnomic references to “irrational exuberance”, let alone pull back from Japanese government bond buying. He must drive Japan’s monetary policy as if he was in one of those defective Toyota cars that was recalled due to a faulty accelerator pedal that got stuck to the floor. This, of course, is a bubble meister’s charter, since for Kuroda to succeed in changing consumer expectations he must keep the accelerator pedal depressed for years. 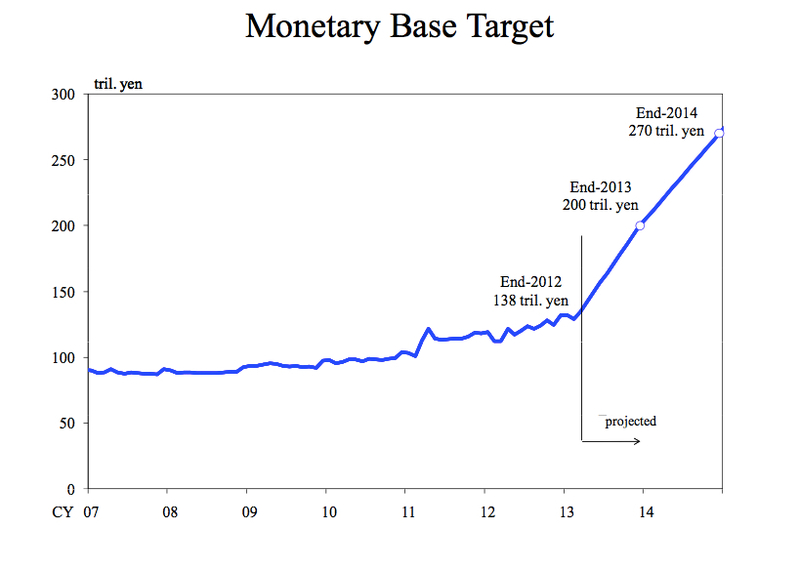 It is also worth keeping in mind that the Bank of Japan’s newly minted 2% inflation target is only an intermediate goal. As I explained in my last post, what monetary policy is really trying to achieve here is the closure of an output gap, i.e., the difference between where the economy is currently operating and where it could be operating if labour and capital were fully employed. Moreover, the problem is perceived as one of lack of demand, not supply. The idea is that households won’t spend today because they think goods will get cheaper tomorrow. In effect, even if they hold cash at the bank earning zero, deflation means that they are getting a comfortable real return. The policy goal a la Krugman, Woodford and Eggertsson is to make that real return negative. And the only way to create a negative real return when interest rates are zero is to have inflation. If you can persuade the populace that inflation is barrelling toward them in the future, then they will cut savings and increase consumption now—or so the theory goes. In addition, if the economy is idling below potential with unused capital and labour, any sudden jump in demand will result in high productivity and economic growth. Growth, in turn, will lead to higher wages and greater government tax receipts. Thus—and this is where the magic of macroeconomics comes in—the act of spending more now results in higher wages and living standards in the future. Surely, a classic win-win: more consumption and more growth. What’s not to like? Nonetheless, there are a number of problems. 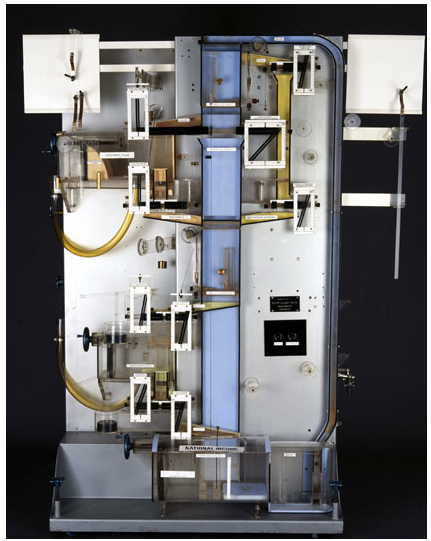 First, how smoothly this all works depends to a large degree on the extent of the output gap. An article by Gavyn Davies in The Financial Times takes a look at the difference between output gaps if we just extrapolate past growth and those if we take into account supply side phenomenon (click for larger image) for a number of countries. Economic growth can be increased either by raising the labour and capital inputs used in production, or by improving the overall efficiency in how these inputs are used together, i.e. higher multifactor productivity (MFP). Growth accounting involves decomposing GDP growth into these three components, providing an essential tool for policy makers to identify the underlying drivers of growth. Therefore, if I am to be proved wrong in my declaration that Japan is post-growth, Abenomics must be able to boost labour inputs, and/or increase capital inputs and/or improve multifactor productivity (innovation and efficiency). By definition, the Abe agenda must encompass one or more of the three—there are no other means of achieving growth. Against this background, Prime Minister Abe has given top billing to monetary stimulus within his ‘three arrow’ policy agenda. He campaigned and won a general election on a pledge to force Japan’s central bank, the Bank of Japan, to adopt a binding 2% inflation target through unlimited monetary easing and thus slay deflation. Moreover, to execute such a strategy, he backed a new BOJ governor, Haruhiko Kuroda, who took office in March. Kuroda, in turn, has executed Abe’s monetary policy agenda with gusto. (For a fascinating article on how Kuroda deftly manoeuvred the BOJ board into unanimously support the policy shift, see this Reuters’ article here). 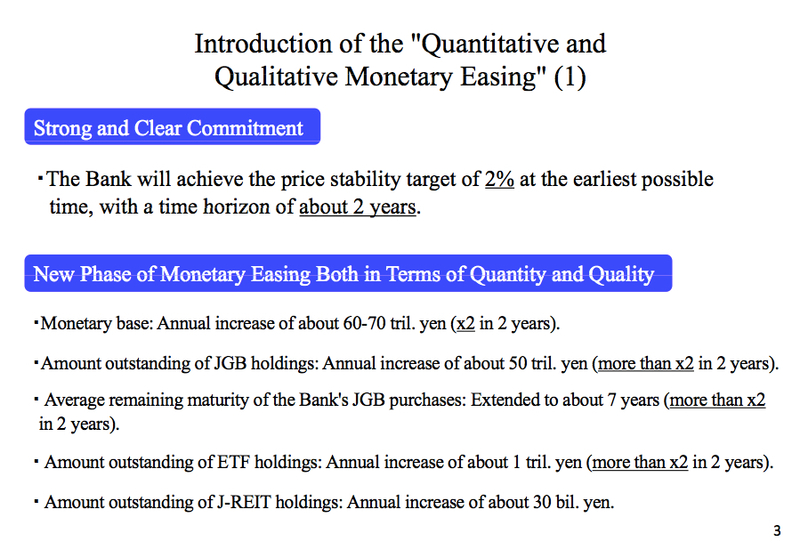 These measures will give rise to an extraordinary jump in the monetary base over a two-year period from ¥138 trillion at the end of 2012 to ¥270 trillion at the end of 2014. In fiscal 2012, Japan’s GDP was estimated at approximately ¥475 trillion in nominal terms, so the monetary base is targeted to rise from around 30% of GDP to 55% of GDP. The internet certainly has its faults, but one can’t but admire how it has democratised information. It is now possible to get access to a multitude of private-sector reports that would only have been available to investment professionals a mere 10 years ago. One example, with a high degree of quality, is the Credit Suisse Global Investment Returns Yearbook. You can get a pdf of the 2013 report here. Within its pages is a wealth of information on cash, bond and equity returns. Critically, the report chronicles a recent revolution in the prospects for investments. Moreover, the ‘new normal’ savers face gives off some telling signals with respect to future economic growth and, unexpectedly, provides some good news for the economics of sustainability projects. To assume that savers can expect that the investment conditions of the 1990s will return is delusional. Many investors seem to be in denial, hoping markets will soon revert to “normal”. But once we take inflation into account, things are far worse. 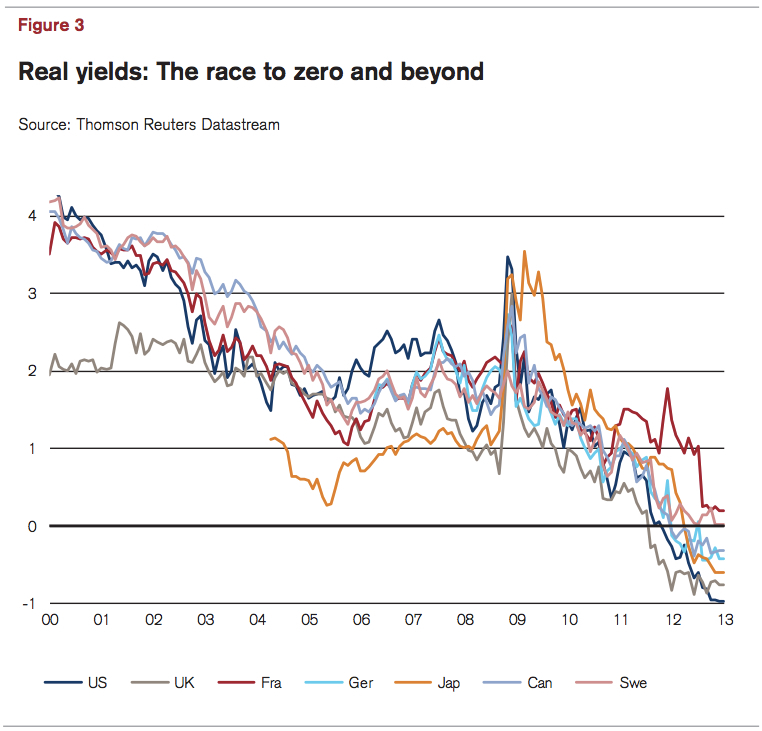 In the chart below (taken from the full report), the authors have used inflation-protected bonds starting from the year 2000 (or equivalent where such bonds are not issued by a particular country) to see what kind of real returns investors are prepared to accept (click for larger image). The Forward on Climate Rally organised by 350.org attracted 40,000 people on 17 February and received wide publicity. This prompted a lively discussion as to whether direct protests make a difference to potential climate change outcomes or not. I think I fall into the camp of David Roberts at Grist who believes that street activism has a strong part to play in countering climate change. An excellent piece by him arguing against the more wonkish incrementalist approach of the NYT’s Andrew Revkin is here, and a follow-up piece on where the movement should go post the Keystone XL pipeline decision is here. The U.S. climate change movement now appears to have last gained some grass roots activist momentum in the U.S. I wish the same were true in the U.K.
Stuart Staniford has an update on “All Liquids” volume output and OECD consumption trends at his Early Warning blog. Output appears to have been on a bumpy plateau for about a year now. Not surprisingly, oil prices have been creeping up again. As I always say, if the cornucopian belief in technology is to be proved right, and previously inaccessible hydrocarbons can be easily unlocked, we need to see rising oil volumes and falling prices. We are currently seeing flat volumes and flat to rising prices. Given what is happening in the oil markets, I recommend peak oil observers keep abreast of the work of Michael Kumhof, a senior economic modeller at the IMF. I previously blogged on the IMF’s incorporation of geological constraints into its forecasts here. To get a direct insight into Kumhof’s work, take a look at an easily accessible 20-minute presentation he gave here. 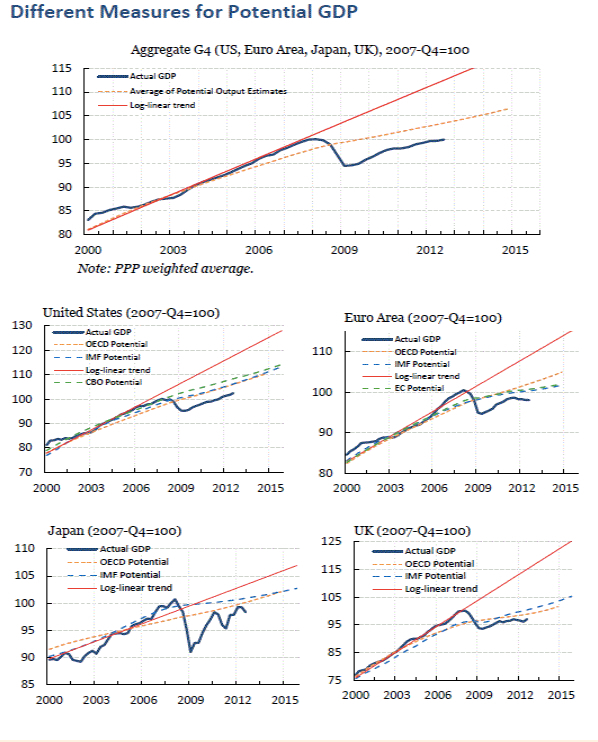 A more technical IMF paper covering these issues was published in October 2012 here. Via Barry Ritholtz’s The Big Picture, this article in the English edition of Le Monde diplomatique charts the surge in financial investment into agriculture. The article is a bit messy in its arguments but the key, and I think basically correct, point is that more and more people will be shut out of food markets via price. Everyone should think hard about how they can hedge against this. Another horrible and depressing paper about permafrost thaw from Climate Central. This is one of the ‘known unknowns’ that we are gradually ‘knowing’ a lot more about. And it is not good.